If you have perfect credit, you may find it difficult to receive approval on many of the most popular credit cards. Your credit score is one of the most significant factors that card issuers will take into account when processing your application, and low credit often means no card. The good news is that there are also credit card options tailored to those trying to improve bad to average credit scores. One option with great benefits is the Milestone Gold MasterCard. This is an unsecured, bad credit MasterCard, which means you won’t need to pay any money for a security deposit to get the card. Interested in learning more and seeing if this card is right for you? From Gold Member benefits to the application process, we have all the info you need. The annual fee you’re charged depends on your creditworthiness. The card issuer determines this based on your credit score, your income and any other debts that you have when you apply for the card. Applicants that meet certain creditworthiness requirements of Milestone will qualify for either those $35 or $59 annual fees. Others will have that first-year annual fee of $75 and $99 for the second year and beyond. You can access your credit card account online at any time, and there are several custom card designs available to choose from. What About Gold Member Benefits? 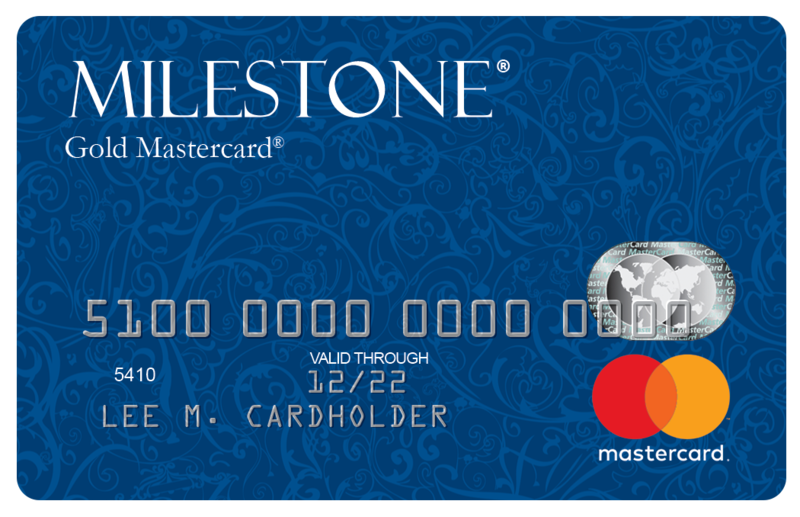 A full guide to the great benefits that are available with the Milestone Gold MasterCard accompanies the card when you receive it in the mail. The first step in applying for this Gold MasterCard is filling out Milestone’s pre-qualification form on its website. You’ll need to enter your basic personal and contact information, including your name, email address, home address, Social Security number, date of birth and phone number. After you submit this information, Milestone will run a soft credit check on you. The benefit of a soft credit check is that it allows Milestone to find out if you’re qualified to get the card, but this doesn’t make a negative impact on your credit score as a hard credit check can. If Milestone determines that you’re qualified for the card, you can fill out the application and submit it. There’s never a guarantee you’ll get approved for a credit card, but this MasterCard is specifically for people with below perfect credit and bad credit. If you have any questions or concerns, you can contact Milestone’s customer service. Once you receive approval for a card, it should arrive by mail within 14 business days. When you get a card and you have bad or average credit, it’s important that you use it correctly so that you can raise your score. This is especially important because of the annual fee on this card. Although the annual fee isn’t bad, there are plenty of credit cards that offer excellent rewards for the same or lower annual fees. The best way to use this card is to improve your credit score with it and then switch to another card with rewards or no annual fee. The good news is that boosting your credit score with this card is simple enough. All you need to do is make at least one or two purchases using the card every month. That way, you have a bill that you can make a payment on. Pay the balance off in full on or before the payment due date. You won’t get charged any interest and you’ll build a strong payment history. Make sure that you keep your credit utilization low, as well. If it goes above 30%, that can negatively impact your credit score. If you start out with that $300 credit limit, never go above a balance of $90. This Gold MasterCard by Milestone is a simple, effective option when you want to establish or repair your credit. It doesn’t have strict applicant requirements for you to meet, and if you use it responsibly, it could be just what your credit score needed. The application process for this card is one of the easiest around. All you will need to make sure that you do is to provide some basic information about yourself that will help in the credit card decision. Unlike many of the cards out on the market today, you don’t need to ask yourself what should I watch out for when using credit milestone gold Mastercard? There are no hidden tricks or fees that you will have to pay if you are not paying attention. Another question that many people ask about this card as opposed to a gold milestone Mastercard is what other benefits can I get for using credit gold milestone Mastercard? The truth of the matter is that there really is no added benefit to using this card as opposed to any of the others out on the market. It may be tempting to go with a credit Milestone Gold Mastercard, but you need to make sure that you ask yourself a couple of questions. The first question you need to ask is what should I watch out for when using credit Milestone Gold Mastercard? The second question will be what other benefits can I get for using credit Milestone Gold Mastercard? These two questions will help you to better understand why you will be better off sticking with this credit card. This card has a ton of features and if you use it the way you should, then you will see your credit built back up in a record amount of time. So why are you still sitting there go out and apply for one of these cards today and see what all you have been missing out on. This also is not a card that will leave you to wondering what other benefits can I get for using credit milestone gold Mastercard? This is a card that when in your wallet has a lot of power more than many of the other cards that will be made available to you one of the biggest advantages to this is the fact that it has a low APR and almost anyone that applies can get approved. Not applying for this card is not a wise decision to make and will lead to you missing out on its many benefits. The thing that is important to remember is that the better your credit is the better credit card offers that you will receive. More and more of these offers will come in for you. That is where you need to be careful as too many credit cards present too much of a temptation for you to go on a spending spree. Keep your cards down to just a select few and you will see that this will be the best tactic as all you have to do then is to simply keep the balance paid down on these and as a result, you will not find yourself in debt because you used the card and then you lost your job and found yourself in a position that you cannot pay back on the card in question. This one little piece of advice will go a long way in helping you to avoid many of the issues that are associated with credit card debt. When you find a credit card that offers a low-interest rate as well as being secure, you are without a doubt going to want to get this and move forward with the offer. 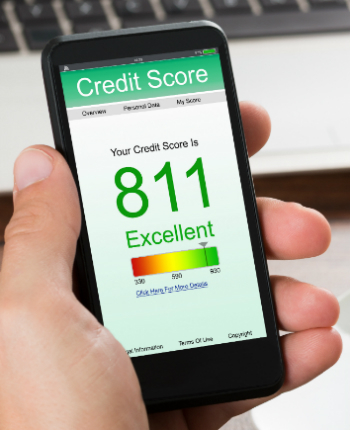 Being able to check your credit score will be something that more and more people are getting excited about. It used to be something that was exclusive to many of the larger credit card companies, however as the years have passed, more and more companies are offering this service to their customers. This will allow the holder of the credit card to see for themselves the advantages that are coming in regards to their credit score by using this card in a responsible manner. Having a constant update as to where your credit score it will give you the advantage to know what is and is not working with your credit card strategy. More and more people are finding themselves enrolling in this program to help them keep an eye on their credit score and see how things actually affect this.